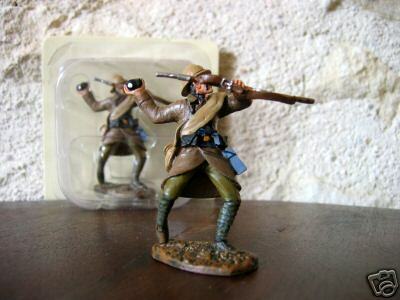 this is a stadden that i am painting again not finishedBattle of Verdun (French Bataille de Verdun, IPA: [də vɛʁ ba ' taj ' dœ̃]; in German Schlacht um Verdun, IPA: [' vɛɐ ' ʃlaxt ˀ ʊm dœŋ]) or operation Gericht (judgment) was the only large German offensive, which took place between the first battle of the Marne in 1914 and the last General Ludendorff's offensive in the spring of 1918. He was one of the most violent and bloody battles all over the Western front during World War I; began on 21 February 1916 and ended in December of that year, seeing opposing the German army, led by Chief of staff, General Erich von Falkenhayn, and the French army, led by Commander-in-Chief Joseph Joffre replaced at the end of 1916 with General Robert Nivelle. 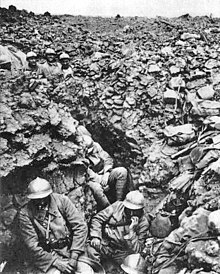 Verdun formed a crucial turning point in the war marked the time when the main weight of transactions on the Western front came from France to the British Empire, made concrete possibilities vanish the still of Germany to win the war and was influential in the United States ' entry into the war in the conflict. involved almost three quarters of the French armies, and although in the story, and in the first world war, there were also several bloody battles, Verdun holds the unenviable record of battlefield with the greatest density of deaths per square metre. The aim was to convey the most number of enemy troops in one area, then hit him with the maximum possible with the violent use of artillery, so dissanguarlo slowly infliggendogli the largest number of possible losses.